Welcome to Our Web Site !! 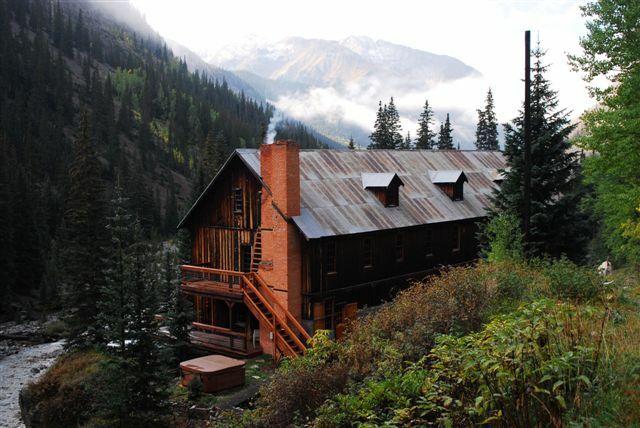 The Eureka Lodge in Colorado is located 8 miles north of Silverton, Colorado on the Alpine Loop. This historic miners hotel is available for 4 to 7 day events. Kitchen privileges or we cater, your choice. Groups of up to 36 can be accommodated overnight, larger parties for day use. Loop just above the ghost town of Eureka. The San Juan Mountains offer something for everyone and we are located in the heart of them!